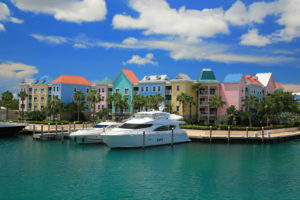 Having the largest concentration of people in the Bahamas, two-thirds of the Commonwealth’s population calls New Providence home. The island is well-equipped for the massive number of visitors who arrive each year to explore the cultural and tropical beauty of this island. Host to several national parks and gardens, New Providence Island doesn’t disappoint. Make time to visit the Primeval Forest National Park, a small tropical forest reminiscent of the tropical hardwood forests of the Bahamas featuring limestone caverns that range in size up to 50-foot long, 30-foot wide, and 30-foot deep. When you are ready to book your private charter flight to Nassau in New Providence call Air Flight, Inc. or simply fill out the charter request form below.